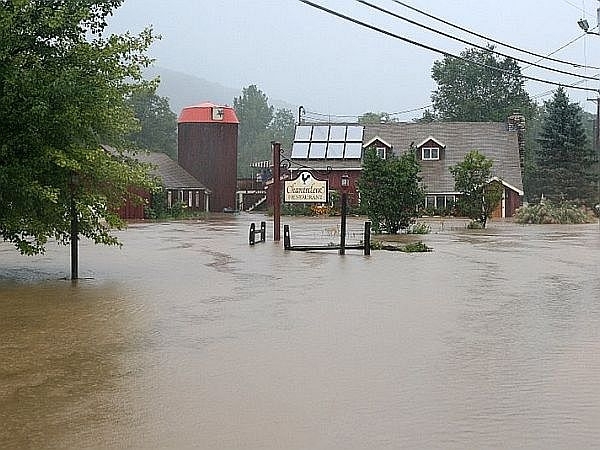 Tropical Storm Irene left behind businesses that were severely damaged. We continue our post-storm coverage with a look at how businesses are coping after the flooding and destruction. Deputy Commerce Secretary Patricia Moulton-Powden and Carl Sherrill of the U.S. Small Business Administration Office of Disaster Assistance discuss the resources that are available to businesses and how towns are balancing the need to stay open while trying to re-build roads and infrastructure. Plus, in our series of reports on how our lives have changed in the 10 years since September 11, 2001, we hear how the events of that day are being taught in Vermont schools. We get an update on the Federal assistance that has been awarded to those who suffered losses during Tropical Storm Irene and we hear how mobile home owners have fared after the storm.